See what parents and students have to say about their experiences at Futures Academy. For students who don’t thrive in a traditional classroom environment, Futures Academy offers a proven educational alternative through personalized one-to-one instruction tailored to their personal needs, educational goals and learning preferences. With a 94% college acceptance rate, Futures Academy not only helps students succeed in middle and high school but also prepares them for success in their post-secondary life. Futures Academy’s 16 California campuses are conveniently located in the San Francisco Bay Area, Los Angeles County, Orange County and San Diego County. Devin C. Hughes is a highly sought-after inspirational speaker, author, consultant, and executive coach. An author of 19 books, his approach draws from the science of positive psychology, positive organizational research, neuroscience, mindset, and mindfulness. Devin has lectured in more than 15 countries and has worked with some of the world’s most dynamic companies and organizations including the Secret Service, IRS, Nationwide, Prudential, Marriott, Cal Berkeley and many colleges and universities, among an assortment of profit and non-profit organizations. Since 1985, Futures Academy’s one-to-one teaching model has helped more than 19,000 students in grades 6-12 achieve educational success. Futures Academy offers an alternative to the traditional classroom and helps students develop the knowledge, skills, mindsets, character, and habits needed to achieve personal goals. 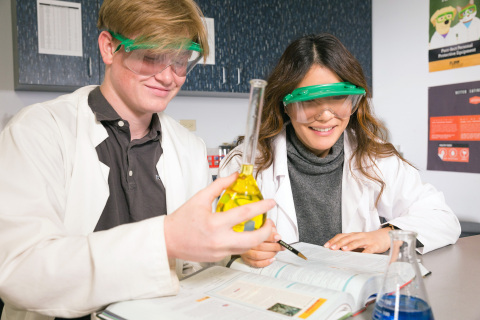 Futures Academy is accredited by the Western Association of Schools and Colleges and offers more than 170 courses including 27 Honors and 18 Advanced Placement (AP). Students may enroll anytime as courses are offered year-round at 16 campuses throughout California. For more information visit www.Futures.edu. Follow Futures Academy on Facebook, Twitter, YouTube and Instagram to see the school in action.